The Top 7 Christmas Gifts of 2018 was crafted for anyone in the family from children to grandparents. Order before the clock expires to guarantee delivery before Christmas! The 3 in 1 charging dock safely charges your iPhone, Apple watch and Airpods at the same time. Say goodbye to the endless tangle of cords. Nice neat solution for anyone who hates cords everywhere. Excite your kids this holiday season with the unique remote-controlled car that transforms into a robot! The RC Transforming Car transforms through a hand gesture, spins 360 degrees and travels far using the remote control. You will always be prepared to sign your signature or take written notes with this premium 1080P recording pen. 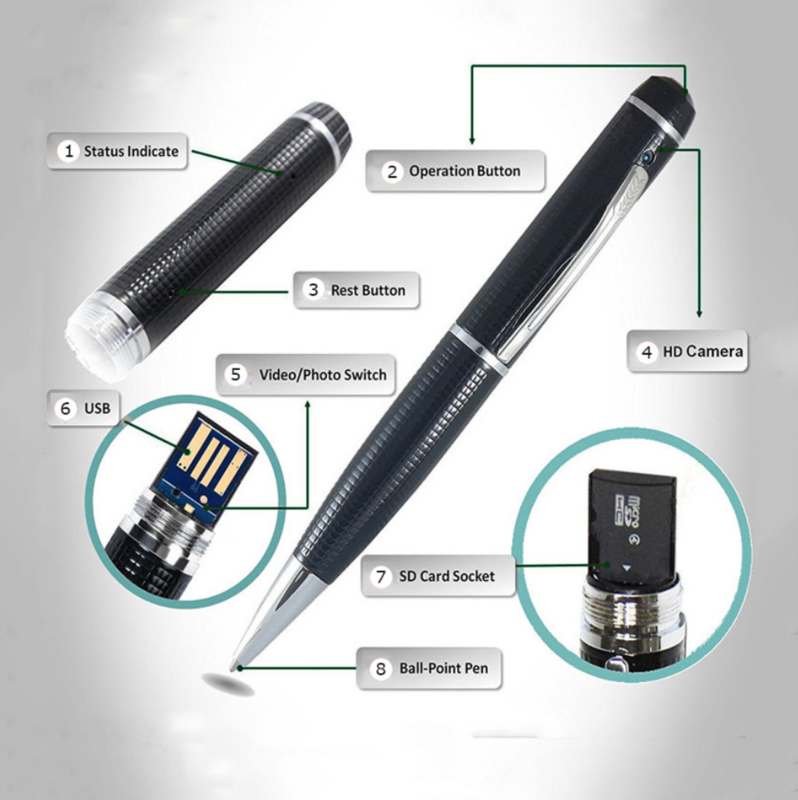 This is a brilliant multifunctional recording device built into a working ballpoint pen. You can capture Full HD video and audio or take photos with operation of one button. This pen has everything you need. Get yours now! Do You Have An Old, Dying Wallet Hanging On To Its Last Thread? The Smart Anti-Theft Wallet is just right for you! It is time to forget about the old, and give way to the new. Have you ever felt a burning sensation while using your laptop on the couch or in bed? If this is a regular occurrence for you, you need to get the CoolDesk. These wireless earbuds will change the way you use your headphones forever! They work like magic and automatically connect to your Android, iPhone, Apple Watch, iPad, or Mac. Experience automatic playback when your headphones are put on and automatic stop when they aren't being used—you'll never miss a beat! Designed with a double-tap feature to control your playlist. This tech-wear makes it easy to spend your day by eliminating the risk of tangled wires. Finally a tiny, portable projector that turns your living room into a full-blown home theater with an image up to 220 inches diagonally. Its jaw-dropping resolution is perfect for movies, gaming and even suitable for business presentations. Now you can have the luxury of a big screen movie in the palm of your hand! These gloves make handy work so easy in those dark and tight spaces!